This post almost didn't happen.... and you would have been able to blame Katie. I'm finding out that Katie and I have a fundamental difference of opinion. We might look alike, gesticulate wildly the same exact way, sound the same but there is one big difference. Recipes. It came to light on a recipe we haven't posted yet. She feels the first time you make something, 'YOU FOLLOW THE RECIPE.' Really, if you heard her lecture me that's what her voice sounded like. All caps, in bold, and in italics. Very Mom sounding. I am more of a, 'recipe is just guideline.' Very chill, laid back like. I will admit she has a point that you need a baseline to know how a recipe will taste then adapt but I also have been cooking long enough and eating even longer that sometimes I can imagine what a meal is going to taste like by just reading the recipe. [good lord, how pretentious does that sound?] I know not to switch out pork for chicken and then wonder why the recipe didn't turn out like it should have. I guess we will agree to disagree. She left to the store and when she came back.... she didn't bring me back ice cream. First of all make room in your freezer for a tray, baking sheet, or dish. 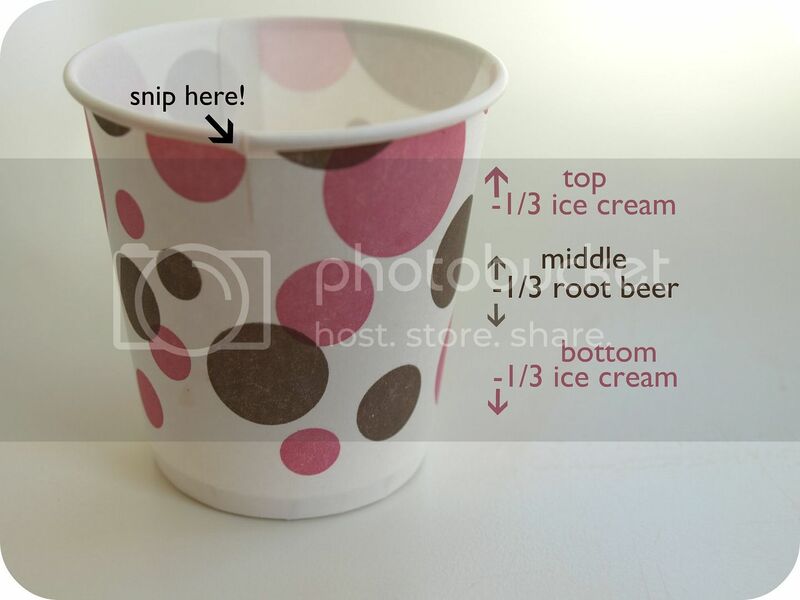 Snip a little bit of the Dixie cup. This will make it easier to peel the cup off of the popsicle later on. Place Dixie cups on tray. Layout all of your ingredients. 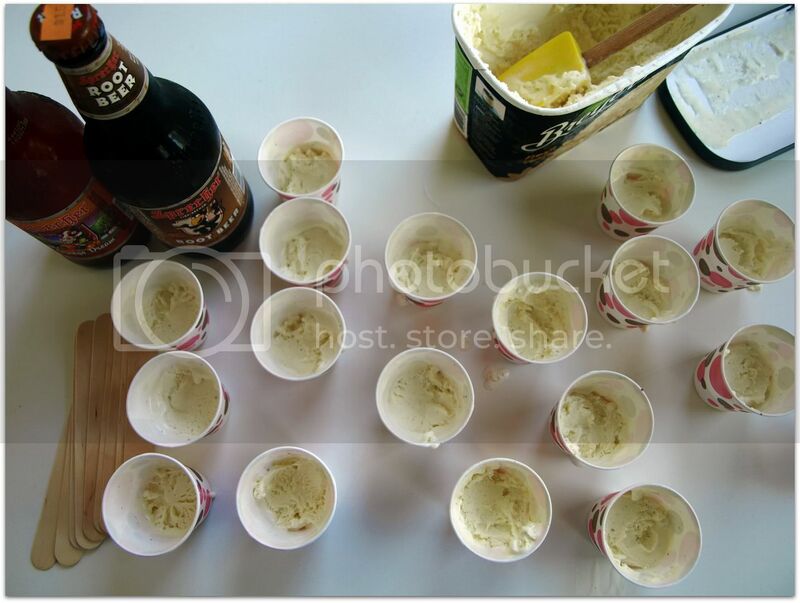 Fill bottom 1/3 of the Dixie cups with ice cream, then pour root beer slowly over ice cream until the root beer fills two thirds of the Dixie cup. Place tray into the freezer. Freeze for about two hours or until root beer is close to frozen. Carefully, fill the top third of the Dixie cups with remaining ice cream. 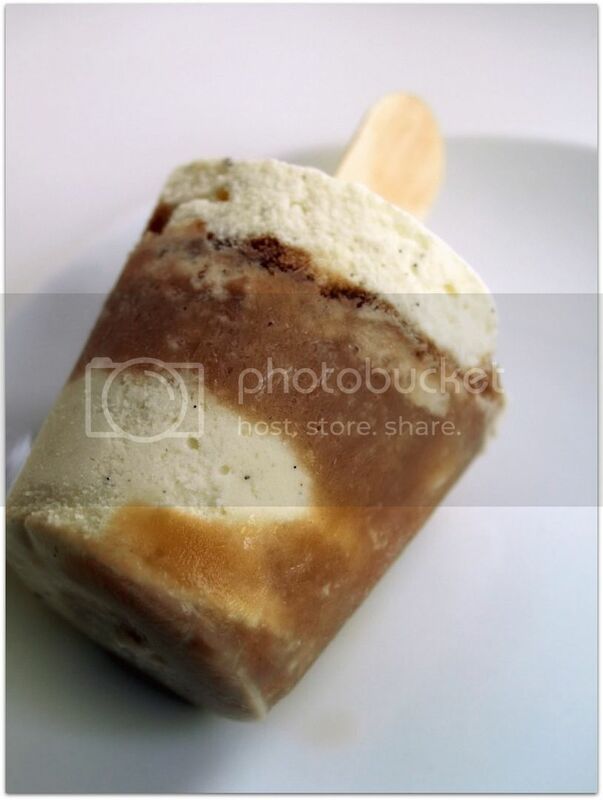 Freeze for 30 minutes, then insert wooden sticks into the root beer ice cream mixture. 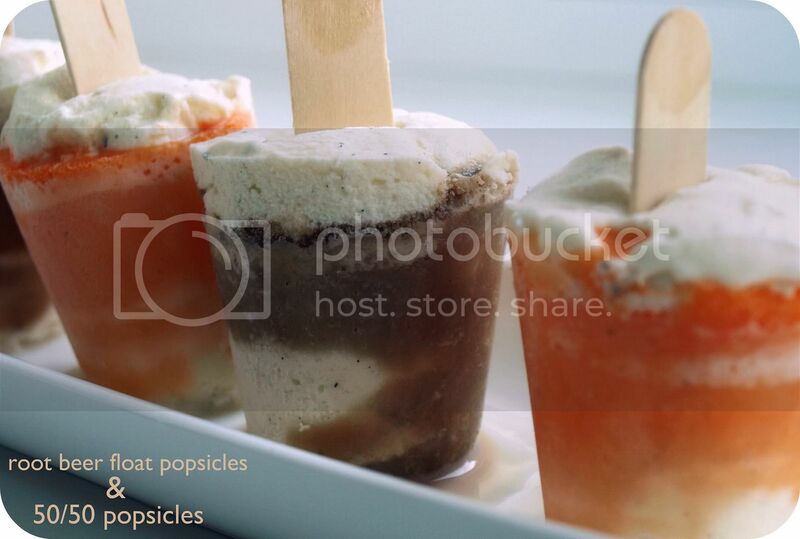 Serve when the popsicles are completely frozen. Yummy! Can't wait to try these! This is exactly what my husband does to me! I tell him I'm making this recipe "sorta" and he gets that "this is going to be awful, what is she thinking look" on his face. Granted I have had some failures, but way more successes. These sound amazing! I definitely plan on making them soon! Freakin' hilarious! I've had more than one person give me the stink-eye when I vary my recipes (like I don't know better or something, sheesh!). I win. Those look delicious! Like you, I will be partaking in the ice cream version - diets be damned! If I got nothing else as a culinary student (here, I wrote all about it: "Culinary School: 101 Things Every Culinary Student Should Know Before They Go" - http://bit.ly/kqooqy), I got the ability to say to hell with recipes. They are a starting point, but the end point is my taste, so if I want more of this or less of that (outside of baking), so be it. This recipe sounds delicious and I'm with you on the substitution. I completely agree about using recipes as guidelines. I like to read 2 or 3 and create my own. The mistakes teach me, too. Yeah, I always intend to follow the recipe first time around but somehow never do. I also fix new recipes for guests, so sue me. I've had some interesting "learning moments" but I haven't had anyone complain (aside from my kids of course.) Keep going Krysta! 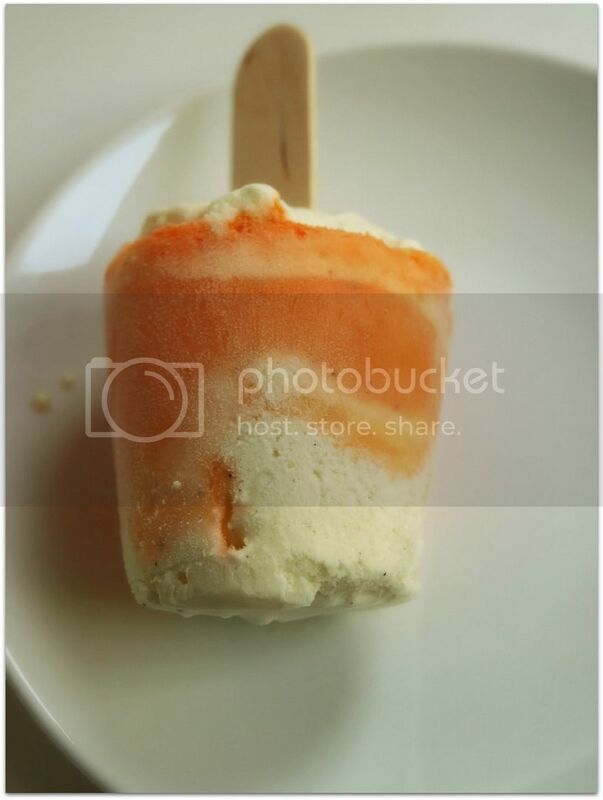 Love the popsicle idea - it's almost warm enough here! These look like fun! going to try them this weekend, it's 105F in NJ! ouch!